Across the country, registered nurses (RNs) play a critical role in the medical preparedness and response to disasters of all kinds, working to safeguard the health and wellbeing of the at-risk public. Nurses help patients at disaster scenes, hospitals, medical centers, and in rehabilitative services during recovery. In some cases, the efforts to provide care are coordinated through an organized response. In other cases, nurses act as unaffiliated volunteers. For many nurses, the desire to assist during a disaster is a natural reaction to a harrowing situation. RNs who earn their BSN are prepared to help those in need through physical, mental, and emotional care. This advanced education allows RNs to render aid no matter the scope of the disaster. “Nurses must be able to adapt their skills from focusing on individuals to large numbers of patients, both in their delivery of lifesaving and emergency care and in the maintenance of public health,” researcher Susan Achora said in the “Disaster Preparedness: Need for inclusion in undergraduate nursing education” study. In 2017 alone, there have been more than 120 federally declared disasters in the United States, including Hurricanes Harvey, Irma, and Maria that devastated parts of Texas, Florida, and Puerto Rico, respectively. Other types of disasters in 2017 have included the mass shooting in Las Vegas, wildfires in California, ongoing violence against the Rohingya population in Myanmar, and a continuing medical shortage in Venezuela. In all cases, nurses worldwide have stepped in to help. Generally, RNs help by providing essential emergency medical care and long-term relief. For example, during the devastation of Hurricane Harvey in Texas in August 2017, the Association of Women’s Health, Obstetric and Neonatal Nurses (AWHONN) put out a nationwide call for assistance. The organization said local nurses were “in critical need of NICU registered nurses to help provide relief to those who have been working countless hours since Hurricane Harvey made landfall.” Scores of nurses from around the country responded with offers to help. 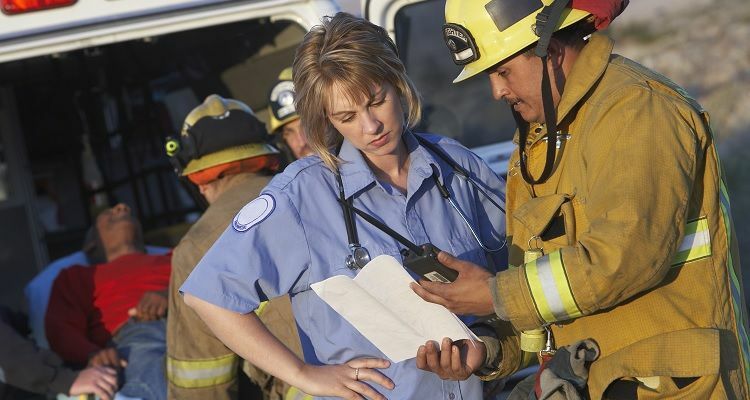 Experts said nurses are uniquely qualified to manage emergency situations because they can perform the proper assessments, prioritize injuries, communicate effectively, and collaborate with other providers. “Simulating Complex Community Disaster Preparedness: Collaboration for Point of Distribution” in The Online Journal of Issues in Nursing. Can I be ready to travel at a moment’s notice? Can I travel around the country to help? Internationally? Are there types of disasters I do not want to participate in? Is my family prepared for me to be gone during an emergency situation? Do I have the financial stability to go without regular pay while assisting in the disaster? Will my employer support my decision? In addition, the American Nurses Association (ANA) said nurses must also evaluate possible legal and ethical concerns related to emergency responses. As such, some RNs—particularly those who don’t primarily work in emergency healthcare—may find themselves at odds with their commitment to community care and their rights to self-care and personal safety. There can be several legal implications for nurses during a disaster, including possible repercussions for not rendering medical assistance. Some states require licensed health care professionals, such as nurses, to respond to disasters of any kind. Refusal to do so can be punishable by law. The ANA said policymakers must consider setting a national protocol that takes individual constraints of a disaster situation into account. The ANA also said dire situations in disasters–such as walking past a mortally wounded victim to care for someone else or taking a terminally ill patient off breathing support to help a victim who has a better chance of survival—can present challenging ethical dilemmas. Such situations are hard to predict, the ANA said. But policymakers must outline general protocols designed to protect healthcare professionals in times of “extreme conditions and scarcities” and ensure the public receives the best possible care in the situation. In an effort to protect RNs from the legal and ethical quandaries associated with disaster assistance, the ANA further recommends local, state, and federal authorities join with RNs to determine the best path forward. As a leader in advanced nursing education, Duquesne University’s Bachelor of Science In Nursing (BSN) program allows nurses to expand their careers in an online setting. Nurses who travel worldwide to assist in disaster situations can earn their BSN while continuing their important work. Duquesne University teaches RNs about advanced nursing techniques, nursing ethics, and other healthcare issues. The program’s academic advisors and faculty mentors work cooperatively with students to ensure a smooth transition from a nursing diploma or two-year degree to a BSN.